The revenue of Thailand’s leading property developers rose nearly 22 percent year-on-year as strong fourth quarter demand helped offset a sluggish start to the year. The exceptional final quarter in 2015 was due in large part to the government measures implemented to boost the property market. The net profit of the country’s top 10 property developers rose by 7.27 percent from the same period last year. They managed to bring in a combined THB37.75 billion (USD1.08 billion) in net profit during 2015. The 10 developers’ average net profit ratio was roughly 15.8 percent for the year. 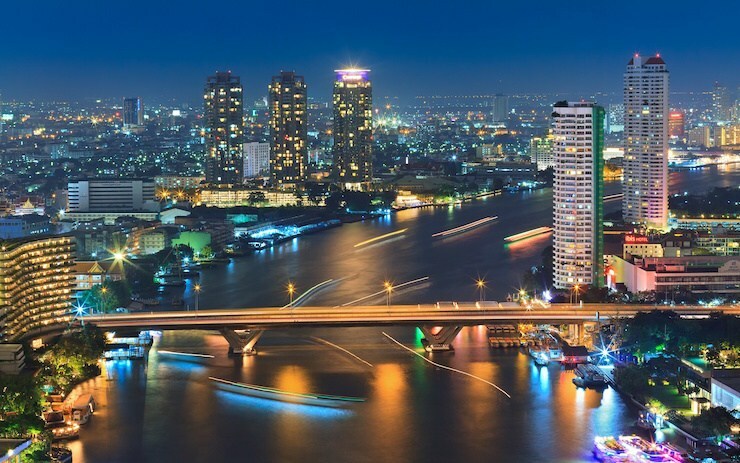 According to the Real Estate Information Centre (REIC) estimates, these developers managed to account for 72 percent of the residential market in Thailand last year. Pruksa Real Estate was one of those developers who reported strong numbers. They recorded year-on-year growth of almost 20 percent and earned THB51.43 billion (USD1.47 billion) in 2015. Pruksa’s president and chief executive officer, Thongma Vijitpongpun, told media that the company’s performance was down to strong residential demand in Q4. This time coincides with the government introducing incentives to boost the property market by cutting transfer and mortgage fees and also offering a special interest rate for mortgages from the Government Housing Bank. Sansiri was another developer who managed to have a successful year in 2015. The firm posted impressive revenue growth of 30.25 percent and generated income of THB38.45 billion (USD1.1 billion). “Our total revenue grew strongly, with the number of units at ready-to-stay condominium projects being transferred to customers exceeding our estimate, plus some of our income was from management fees to develop condominiums under our joint venture with BTS Group Holdings,” chief operating officer Wanchak Buranasiri explained. SC Asset broke its record for a year’s performance in the areas of gross income and net profit bringing in an income of THB14.184 billion (USD406.2 million) and a net profit of THB1.89 billion (USD54.13 million) in 2015. These figures increased by 12 percent and 22 percent y-o-y. The company’s financial results had been better than expected thanks to strong demand for residences priced above THB15 million (USD429,700), said CEO Nuttaphong Kunakornwong. This segment makes up the developer’s main customers base. This story was originally published on DDproperty.com on 10 March 2016.